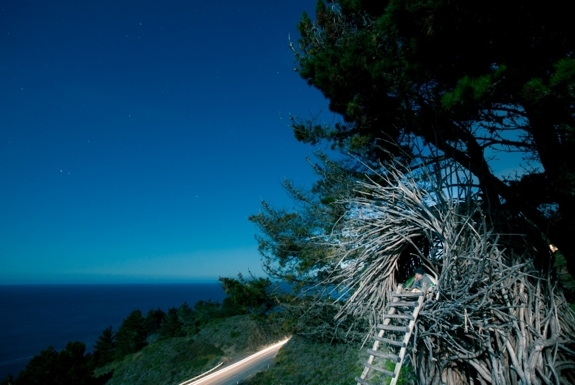 The nest that’s open to the public is at the incredibly beautiful-looking (and incredibly badly-named) Treebones Resort, nestled into a postcard-perfect spot on California’s Big Sur Coast. If you are one of the few who read our review of the yurt accommodations at the Treebones Resort when it was first published, then thanks and congratulations are in order. The Treebones was subject of Spot Cool Stuff’s very first travel post. The place is not only special to us personally, but is one of those spots where everyone who visits invariably has a moment when they say to themselves This right here—this is why I travel! Most of the accommodations at the Treebones is in yurts. The low-key resort also runs a small campground. One of the campground’s sites comes with exclusive use of the Nest. It is telling and appropriate that the Nest is attached to a campground. 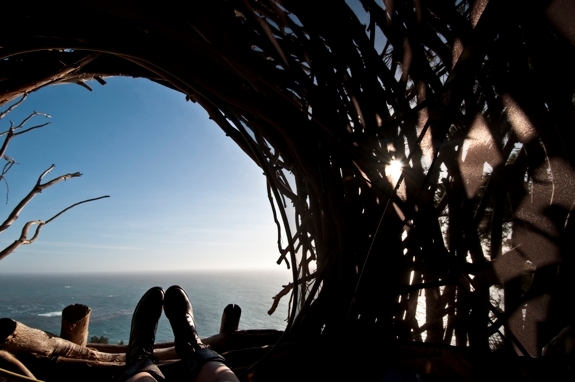 In a way, the Nest is little more than a glorified camping spot. The structure, with its roof and wall made entirely of branches, is very much NOT waterproof. There are no amenities in the Nest. There’s room for two people to sleep—either on an inflatable mattress or inside a small tent—but not room for anything else. What the Nest does offer is an unusual experience and an opportunity to indulge your nesting instincts. Best of all are the absolutely amazing views. When the sun is setting over the Pacific on a clear day, there is absolutely no better place on the planet to be. 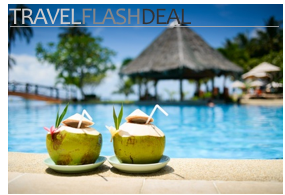 To experience the a stay here yourself, make your reservations well in advance. The early bird gets The Nest. As a camping enthusiast I absolutely want to go online and book a flight to California right now to stay here! How amazing! Feel free to invite us along when you go. The entire Treebones resort is a Spot Cool Stuff fave. This looks amazing. Sooo cosy! Would love to go! Ok, the view is pretty darn amazing! Holy heck where do you even find these places? 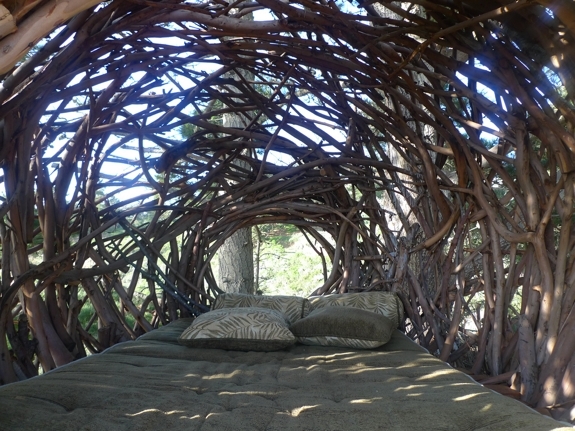 I don’t know how I would feel about staying in a nest for a long period of time… It would certainly be an experience! Thanks, Elise. Collectively, we have few decades of travel experience here to draw on. So many cool places to write about. So little time. That’s so awesome but what about rain? I imagine a plastic bag would solve the problem. As mentioned, on rainy days you need to pitch a small tent inside the Nest. Fortunately, summers on the Big Sur coast (eg. from May through Sept.) are pretty dry. 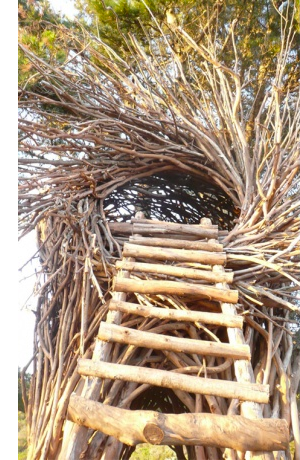 This is so cool.I so want to be in that nest!